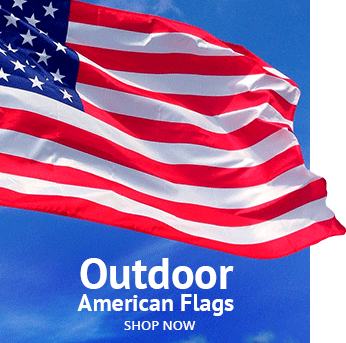 The American flag is a powerful symbol, frequently used to act as shorthand for American ideals and to reflect concepts associated with the country. It has appeared in countless movies and television shows to color one idea or another. Not all of its appearances are positive, of course; symbols work on many layers. A brief overview of some of its more significant appearances and the methodology of its manipulations would take some time, so let’s get started. Probably one of the easiest associations the American flag can be given is patriotism. Not jingoism – we’ll get to that – but the traditional feeling that your country is a good one, doing things as best it can. War movies are chockablock full of this sort of use. A biopic of General George S. Patton, the movie covers his military career during World War II. Obviously imagery is important in rallying the troops, and the general was a master of motivation. The speech George C. Scott delivers in front of the massive backdrop of Old Glory is amazing, but the movie is no hagiography. It is a well-regarded film, carefully researched and masterfully acted. Another biopic, but a very different one, this is a musical about the composer of the songs “You’re a Grand Old Flag” and “Over There,” George M. Cohan. Since it’s a musical, props are vitally important in providing exposition as quickly as possible. The flag makes numerous triumphant appearances, although not in color. Here is a great scene featuring the flag, as Superman, self-proclaimed proponent of “Truth, Justice, and the American Way,” returns the White House’s flag. We’ll come back to Superman in pop culture later; he’s associated with the flag very frequently. This movie is set just before American involvement in World War II. Hotshot pilot Cliff Secord protects an experimental rocket-pack from the Nazis who want to steal it in order to have jet-propelled Stormtroopers razing Europe and America. It contains strong iconography and great photography, although just after this frame Cliff activates his rocket-pack and accidentally ignites the flag. Though it makes for a good scene cut, it’s an odd juxtaposition. 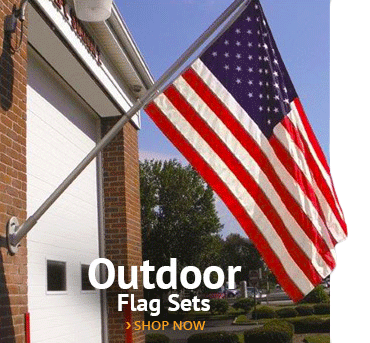 The iconography and patriotic impact of the Stars and Stripes doesn’t get more on point than this. America’s only Super-Soldier is used as a shill for selling war bonds, using his immense physical prowess and the proud colors of the flag to do so during the USO show he’s touring with. It’s for a good cause, sure, but he feels he’s not doing enough to move the war effort along as a public relations flak. At this place in the film, though, he’s doing it and doing his best at it, because that’s what the guy who represents all the little guys who want to help would do. Nothing is more American than that. This is a blatant attempt to manipulate emotions in moviegoers, and it’s pretty effective in some ways. Unfortunately, Rocky Balboa is wearing the flag’s components as shorts, which is bad enough, but is also using an actual flag as a towel, undercutting the sentiment rather sharply. At this point, the flag is just a backdrop to help make the red dress more visually dramatic. It’s almost an afterthought, albeit a carefully crafted one. Here the flag is being used ironically, in a movie that has a very cynical view of what late 60s America had to offer. The rider of the motorcycle pictured in the poster is even nicknamed Captain America, but his search for the true freedom America represents is punctuated by violence, larceny, smuggling, and eventually disillusionment and death. The freedom to follow your own dreams clashes with what the movie depicts as typical Americans, and no one, in the end, wins. The Stars and Stripes also feature prominently in songs. Country-western songs tend to celebrate the flag and those who love it, while other styles may lean more toward expressing the sentiments the flag stands for; that is, freedom of expression. Several protest songs of the 1960s and 1970s reference the flag in lyrics or while being performed on stage, and the tradition continues today. Art gives the flag a prominent place, sometimes to celebrate, sometimes to question. Many famous paintings have the flag as a significant element, if not the focal point. One of the most famous paintings depicting the flag is Washington Crossing the Delaware, by Emanuel Leutze, painted in 1851. A beautiful image, although with an inaccurate flag; the one shown here is a contemporary version that wasn’t designed at the time of the crossing. Still, there are many more artistic licenses taken with this subject, so we’ll let it slide. The Surrender of General Cornwallis, by John Trumbull in 1820, seems to have a similar issue with its flag. It looks like the same “Betsy Ross” style flag, but the star in the center verifies that it is actually the Cowpens flag, which was designed in 1781, before the war ended, so at least it has the advantage of being chronologically accurate. 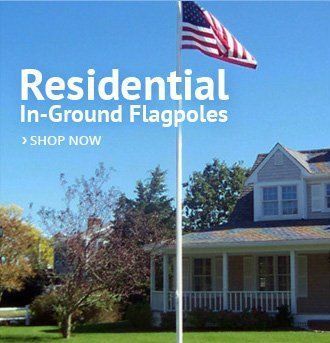 Flagpoles are a popular way of incorporating art and a living flag. 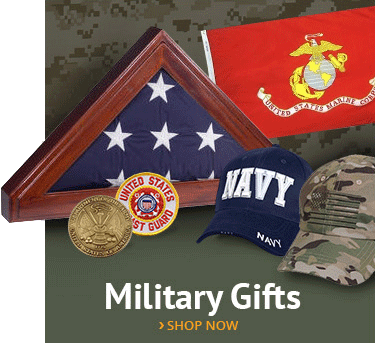 The Marine Corps War Memorial in Arlington, Virginia is an iconic example of this. 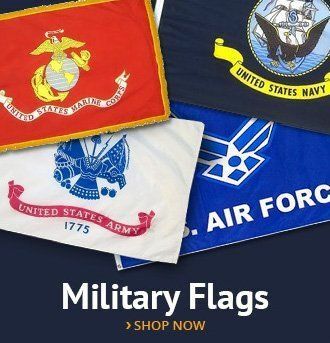 Based on the famous photograph of the Marines raising the flag on Mount Suribachi during the Battle of Iwo Jima in World War II, this massive installation sports a sixty-foot flagpole being planted by six thirty-two-foot tall Marines. It is one of a very few sites where the flag is flown twenty-four hours a day, per special order of President John F. Kennedy. One of the most enduring places the flag has been utilized is in that quintessential American art form, the comic book. Early comics were not at all shy about displaying the flag, perhaps unsurprisingly since they debuted largely around the beginning of World War II. Many of the early artists and writers of the new publications were immigrants from Europe, where they had witnessed Hitler’s rise to power, and they were eager to present their insights. Superman and Batman personally made a point to sell war bonds when they weren’t punching the Axis powers back across the ocean. Or, in this case, hitting them with baseballs. Of course, as mentioned previously, Captain America was literally wearing the flag’s colors and using its iconography, so he would definitely leap at the chance to knock Hitler on his backside, as seen on this comic cover. Superman has long been strongly associated with American values. He represents something of the idealized immigrant: Someone who comes to America (less specifically, Earth) to make a new life for themselves, who works hard and adopts his new country’s (planet’s) ways, and who becomes a role model for what the American Dream can be for everyone. In recent years, this has been explored more thoroughly than in the past. Superman has delved into his prior heritage and integrated aspects of his ancestry into his life and work, reflecting the cultural diversity becoming so ubiquitous in American life today. Still, through it all, he remains a Midwestern farm boy, raised with middle-class American values of hard work and honesty. Captain America is a different kind of American success story. A sickly youth who wanted to join the war effort, he volunteered for an experiment that transformed him into a physically perfect human specimen. The triumph of science and ingenuity was a common theme in superhero comics, but this origin explicitly placed Steve Rogers as the recipient of the greatest medical and military technology America could offer. But Captain America is specifically a symbol of America, and Steve Rogers hasn’t always agreed with what he’s told that means. From time to time he has even given up the uniform to rediscover what the American spirit actually is. An excellent sentiment to wrap up our brief overview. More specialized investigations may lie ahead.